Dr. Sopel deeply believes that in order to provide the best dental care possible, you need to have the right instruments, which is why he is constantly studying, researching, training, and updating our office. The end result is that we have a facility that is second to none, where patients can get fast, effective, and gentle dental care using the latest proven methods available today. If you’re ready to experience all of the benefits of cutting-edge 21st century dentistry, contact us today. In order to take care of your teeth and gums, we need to be able to see them, right? 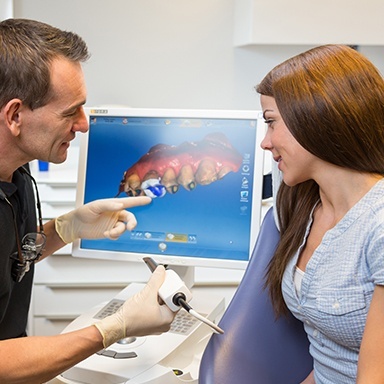 Our Digital Doc intraoral camera helps us capture high resolution images of your teeth and gums we can display on a large monitor right in the treatment room. 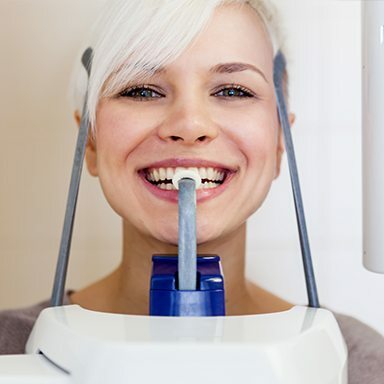 With them, our team will be able to spot potential problems much easier, plus you’ll be able to see your smile from your dentist’s perspective for the first time, ensuring you completely understand your dental needs. 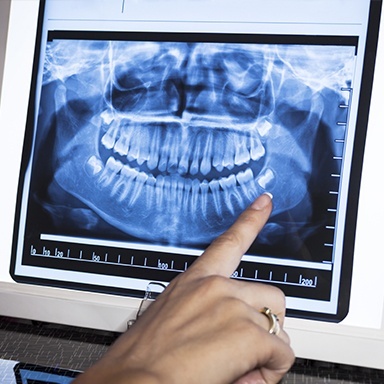 X-rays help us look beyond the surface of the teeth and gums so we can catch any issues as early as possible. Our office upgraded to using 100% digital X-rays a long time ago because compared to traditional film radiography, there really is no comparison! 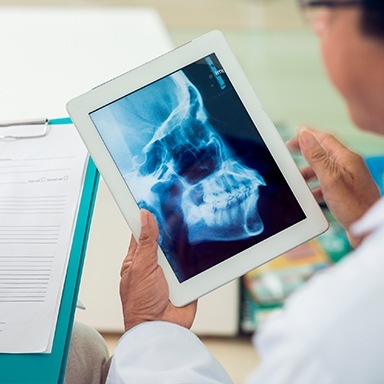 Digital X-rays generate sharper images, take a fraction of the time to develop, and better yet, they cut down on radiation exposure by up to 90%. When planning a more complicated procedure like dental implant placement, Dr. Sopel needs a little more information about a patient’s dental anatomy than what a traditional 2D X-ray can tell him. Rather than sending a patient through a CAT scan, he can simply use our CT/cone beam scanner to create a highly-detailed 3D X-ray model of a patient’s teeth, jaws, and surrounding oral structures. This enables him to plan a procedure down to the finest detail in order to both guarantee success as well as an easy recovery. 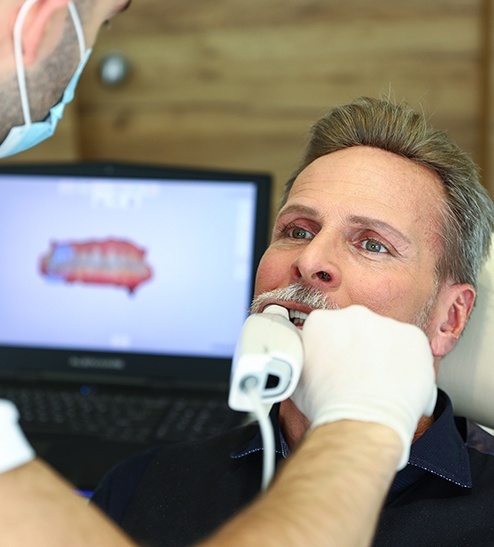 Our Omnicam scanner enables our team to create highly detailed dental impressions without making a patient bite down into cold, odd-tasting dental putty. 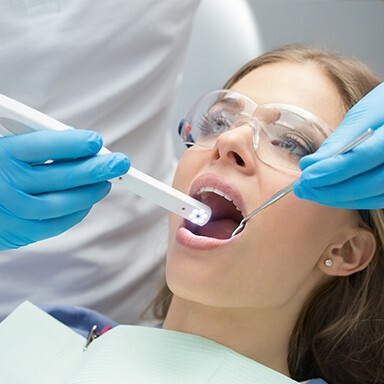 A device about the size of a pen is used to quickly scan the mouth, and on a nearby monitor, sophisticated software pieces together a fully digital model of the teeth and bite. This process takes much less time than the traditional one, is more comfortable, and it creates a usable impression the first time, every time. 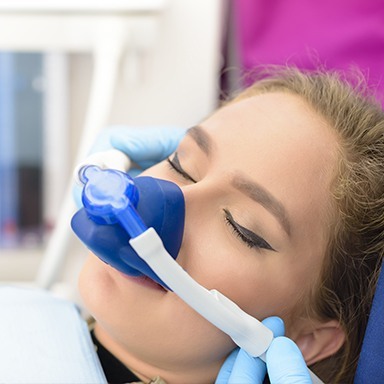 Patient comfort is always a top priority here at Horseshoe Bay Dental, and for those who need a little extra help to relax during their appointments, safe and gentle nitrous oxide sedation is always available. A patient simply breathes in the odorless gas through a small nasal mask, and within minutes, any dental nerves should simply melt away. It can be used during any procedure, and once the mask is removed, a patient should feel completely normal and won’t experience any lasting drowsiness. The joint that connects your lower jaw to the rest of your head is called the TMJ, or temporomandibular joint, and just like your teeth and gums, its condition is very important for oral health. Stiffness and pain in the jaw can cause all sorts of problems when it comes to eating and speaking, but Dr. Sopel is able to treat these kinds of issues directly. After diagnosing what is wrong with the joint, he can use a TENS machine to soothe spasming muscles and then rebalance the bite to improve function and deliver long lasting relief.